Vision 3 Architects, architect of record, is providing architectural services for the project’s planning, design development, and construction phases in collaboration with Group One Partners, the design architect and interior designer, who were responsible for the schematic design floor plans and exterior building image drawings. 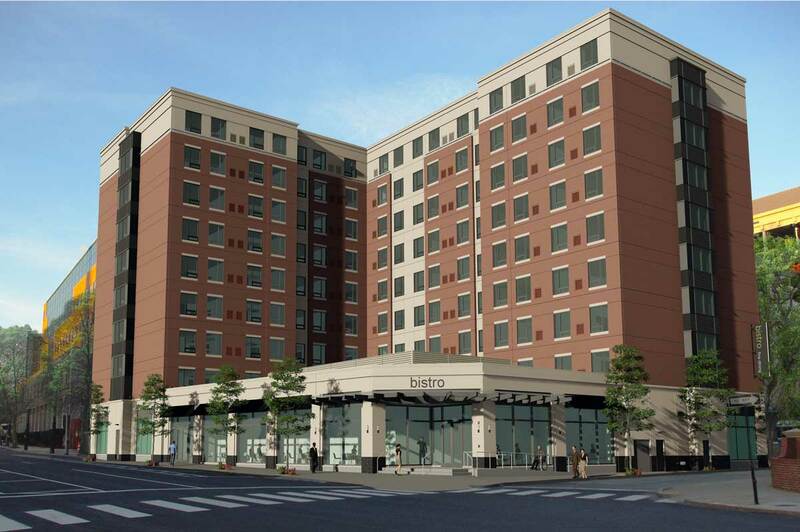 The new Residence Inn hotel features a mix of guest rooms with studio type rooms for abbreviated stays and single bedroom guest rooms with kitchen and living areas for extended stays. The hotel accommodates 176 guest rooms over nine stories, and features an independent restaurant located on the first floor. 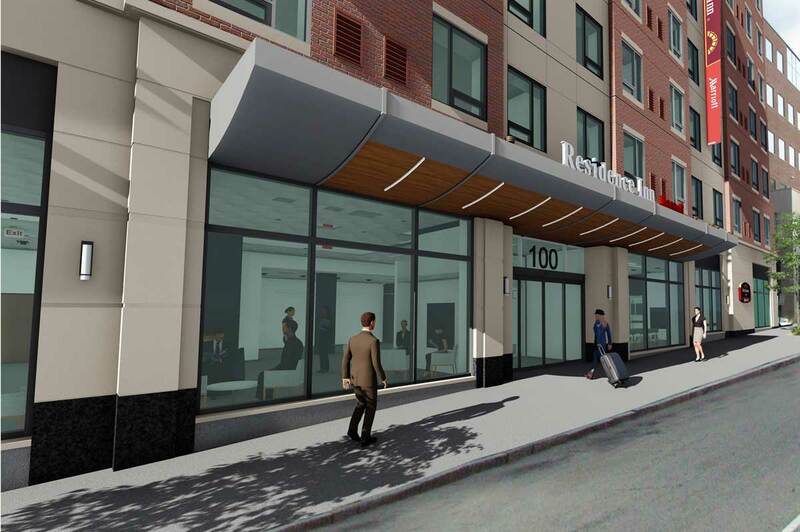 The new $40 million Residence Inn hotel will be located on a prominent site on the Historic District of Downtown Providence.